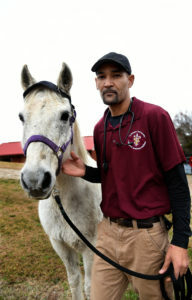 Russell Johnson always wanted to be a Tuskegee University graduate and a veterinarian. 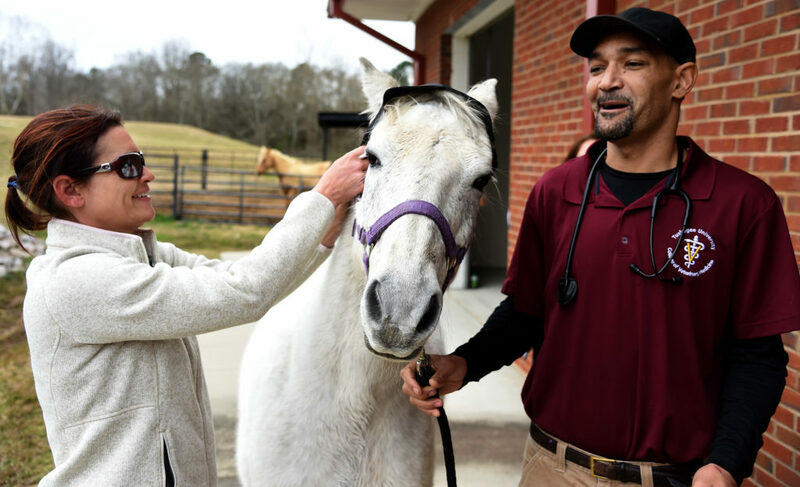 The 40-year-old gets to fulfill his wish for both in May, when he will graduate with a Doctor in Veterinary Medicine (DVM) degree from the Tuskegee University College of Veterinary Medicine (TUCVM). Since childhood, Johnson knew what he wanted to become. Attending Tuskegee was a foregone conclusion for Johnson, whose mom, dad, uncle, and grandfather all attended the university. Johnson’s family moved to Fairfield when he was 12 years old. He graduated from Fairfield High School in 1996, enrolled at Alabama Agricultural and Mechanical University Mechanical after graduating from high school, and transferred to Tuskegee University in 1998. Johnson graduated from Tuskegee with a Bachelor of Science degree in animal science in 2002, but he didn’t apply to veterinary school. 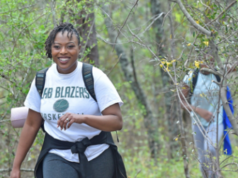 “I retook a few more classes and applied to vet school in 2014, but I did not get in; they told me I had some classes that had expired,” Johnson said. Johnson decided to follow his dream. In 2016, after his first year of vet school, the mother of his children passed away. 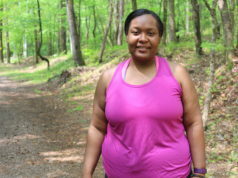 “It was extremely, extremely hard. 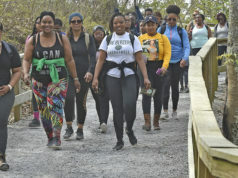 … My situation was different,” said Johnson, whose children Jalyn and Russell III, were 6 and 2, respectively, at the time; they are now 10 and 6. 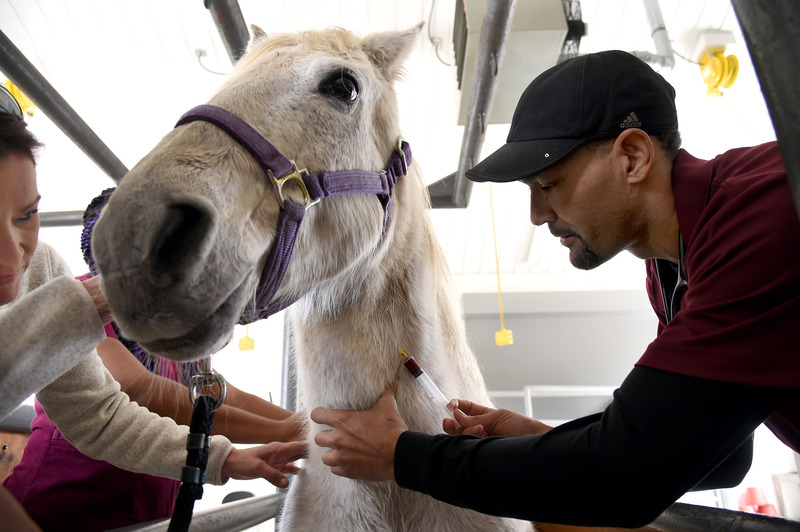 With all this happening during his first year in veterinary school, Johnson found comfort at Tuskegee “from the support staff to the dean,” he said. “Everybody constantly wanted to know if I was OK, those that knew. … I didn’t want anybody to say he’s going through this and he’s going through that. I didn’t want any crutches, … [and] no professors infringed on that. They allowed me to stand up, but if I tipped, they made sure I didn’t fall. Johnson said Tuskegee gave him a chance. Johnson appreciates Tuskegee because it allowed him to be who and what he wants to be.